Today in this guide we’ll show you how you can easily install the ADB and USB drivers for LG G3 android smartphone or any other LG phone on your windows and MAC machines. Connecting hardware to a PC require proper drivers on your PC or MAC, after this you can easily connect your phone to the machine and communicate with the device. Without these drivers you can’t connect your phone and can’t run the ADB commands on your device. All Android devices needs proper driver installation on the PC end for a proper communication. In our previous guide we share lots of article about other device like Nexus Mobile, Motorola Mobile phone Moto E, G and Samsung Android USB Drivers on PC. Once the ADB drivers are installed on your PC or mac, you can use he ADB commands on your device directly from your machine to Shutdown or reboot, and you can also make changes to the Android File system (/System) directly providing you have proper permissions. To install the drivers on your MAC or PC all you have to install the setup file on your machine and run it once. You can fine the download link of the drivers at the end of this guide, the driver packages for the LG G3 that installs both the USB and ADB drivers for your device. 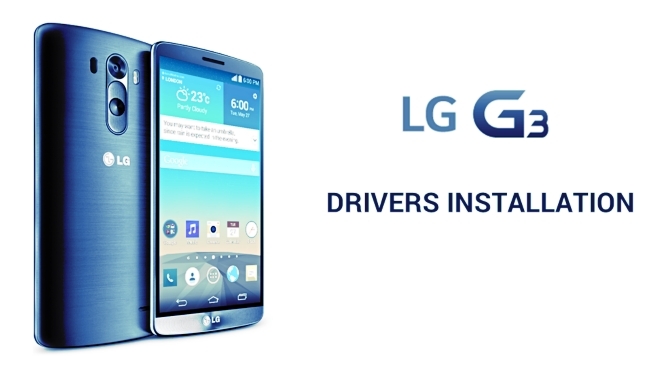 And the drivers will works on LG device which is running on the Android OS. The drivers will works for all LG G3 models, including LS990,US990,AS985 D850,D851,D855 and F400L/K/S and other LG devices too. In case if you need the LG PC Suite for your LG G3 android smartphone than visit the official LG website and install the PC suite on your MAC or Windows.